"We looked at a lot of Brazilian-manufactured guns as inspiration for the game. We noticed certain weapons showing up in photos time and again during our research of the city and its various factions. Both the drug trade and police force in Brazil have specific preferences for shotguns and assault rifles to a point where those weapons have become wholly associated with their respective factions. This information helped us make some small tweaks to Max’s classic arsenal, and players will notice some subtle differences in the weapons Max has access to from the original games. 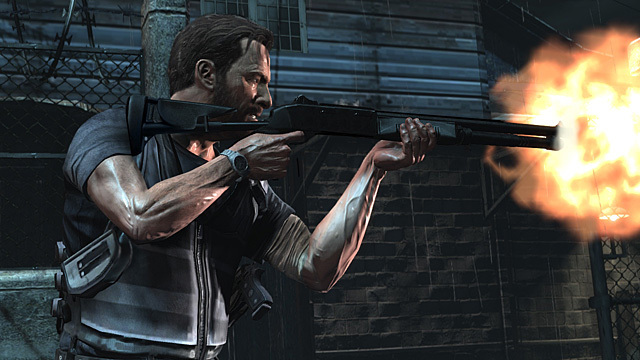 With that in mind, we made sure to include some classic Max favorites from the original games, such as the sawed-off shotgun and fully automatic SMGs."